We’re able to send our daughter one small lovey and a photo album. 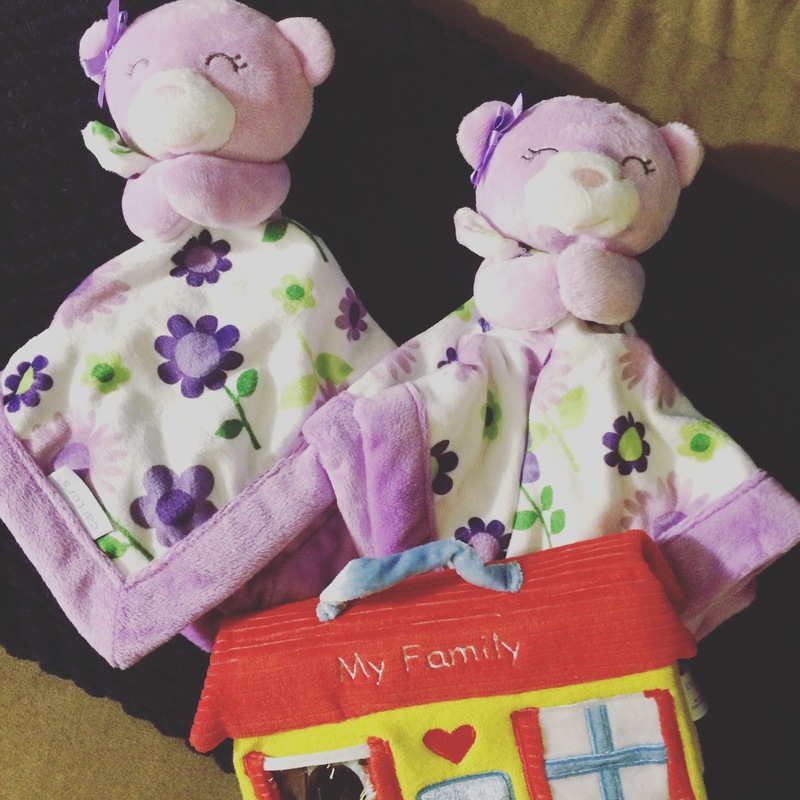 These items help prepare her for the transition during the adoption process. Our agency advised us to get two lovies, just in case the first one is kept at the orphanage or foster home for other children. In two weeks, her lovey will be in her arms and she’ll be flipping through her photo album. I couldn’t resist hugging the lovey we sent, knowing she’ll soon be hugging it back. It’s crazy to think, our daughter will see us for the first time in this photo album. Her forever family. Her Mama! Her Baba!